Great source of vitamins minerals protein antioxidants. Great source of chlorophyll. Will buy more in the future. 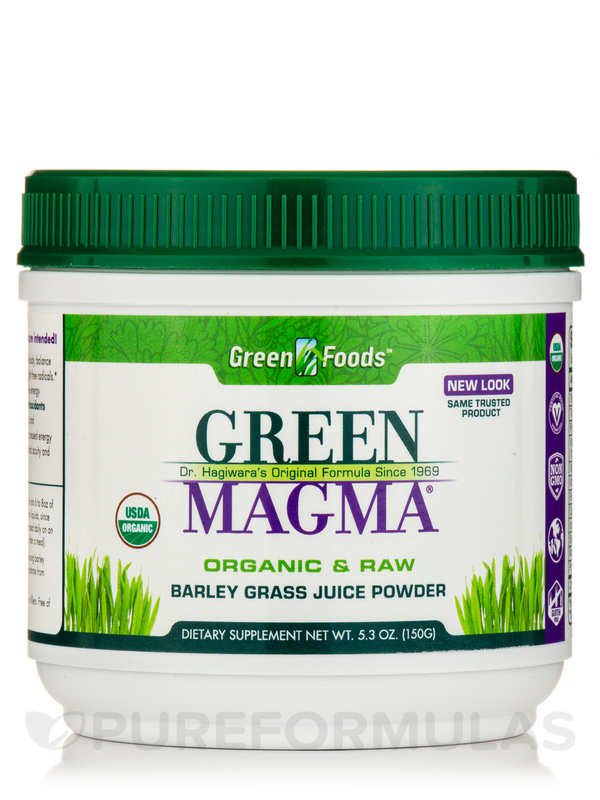 • Since 1969‚ Green Magma® has been the world's premier barley grass supplement. • Backed by over 40 years of scientific research and consumer satisfaction. 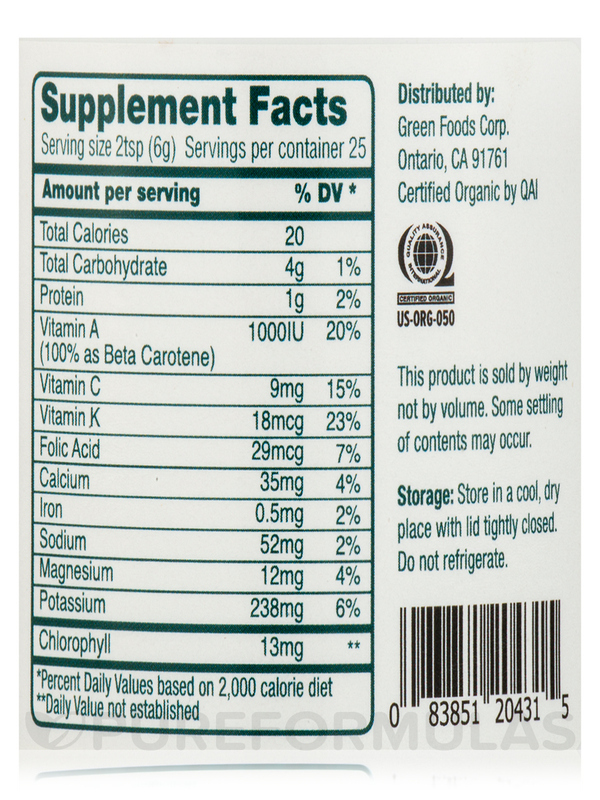 • Contains vitamins‚ minerals‚ amino acids‚ enzymes‚ chlorophyll‚ carotenoids‚ flavonoids‚ and other valuable phytochemicals that support every system of the body. 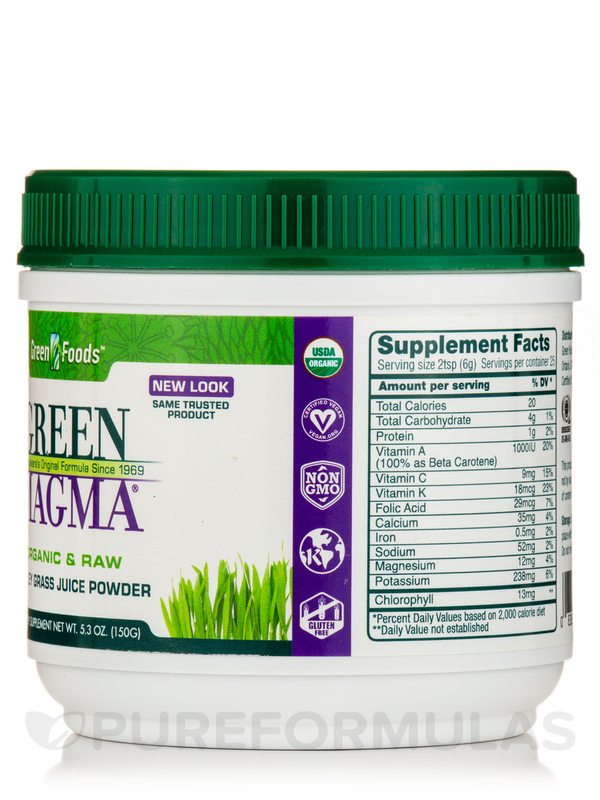 • Green Magma® is a juice extract‚ not a fiber product. Our bodies can more easily and completely absorb the nutrients from a juice supplement than one containing fiber‚ which locks in many of the important nutrients. • Dr. Hagiwara’s award-winning gentle juicing and spray-drying technique concentrates the many nutrients found in fresh‚ young barley grass juice into a nutrient-dense powder naturally protected from oxidation. • Certified organic by Quality Assurance International (QAI). Our barley grass is grown in the USA without the use of pesticides or chemical fertilizers. 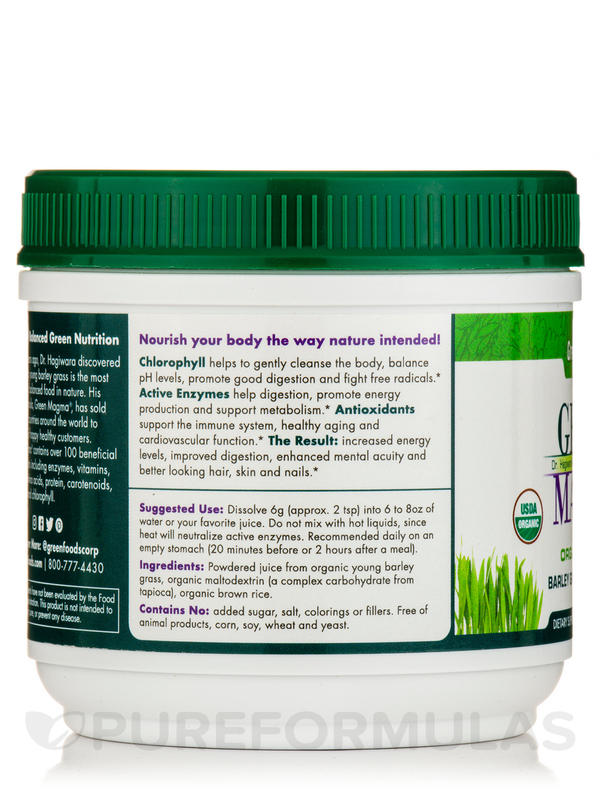 • Enhanced energy and digestion. • Better looking hair‚ skin‚ & nails. 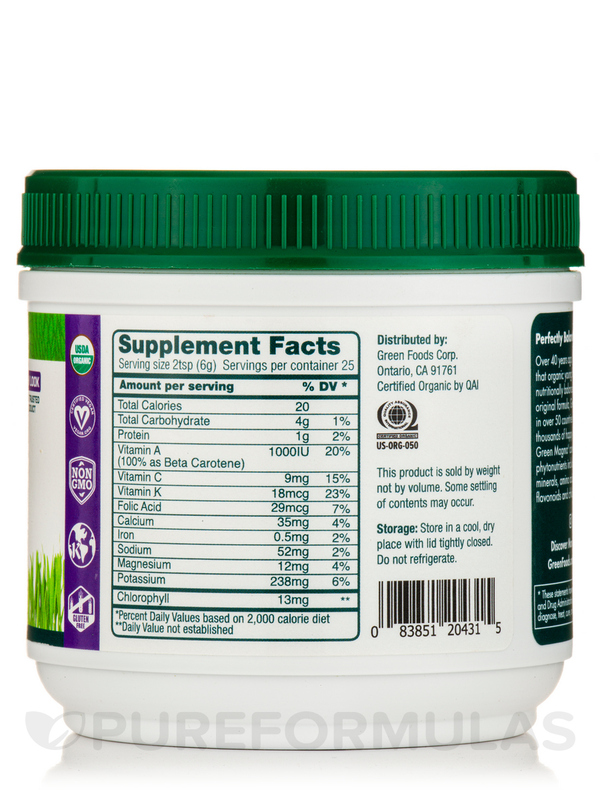 • Provides essential nutrients easily assimilated by our bodies. • Provides crucial nutritional support while dieting and cleansing. Ingredients: Powdered juice from organic young barley grass‚ organic maltodextrin (a complex carbohydrate from tapioca)‚ organic brown rice. Dissolve 2 teaspoons (6g) into an 8 oz. glass of water or your favorite juice. Recommended daily on an empty stomach (20 minutes before or 2 hours after a meal). Store with lid tightly closed in a cool‚ dry place. I have been using Green Magma by Green Foods for years. It improves my overall health giving me energy and improves digestion. Sometimes a little hard to mix, the taste needs stevia or a little juice. 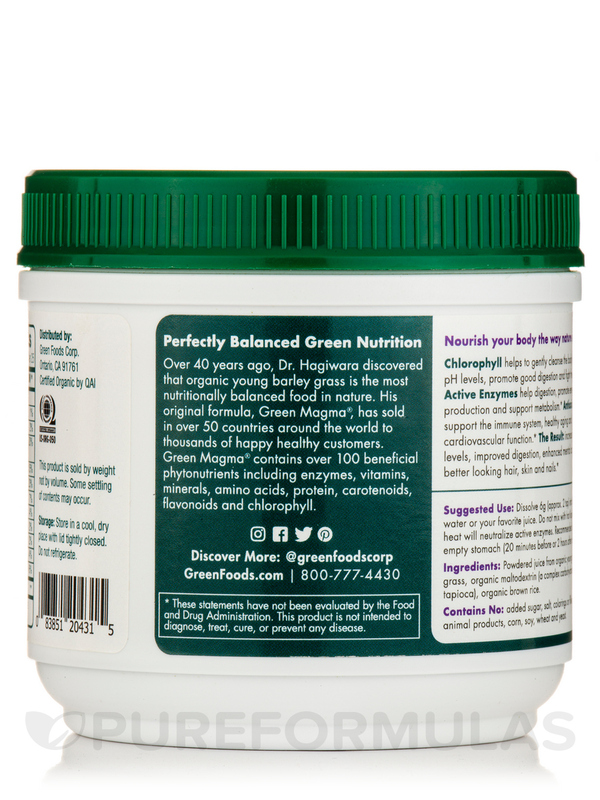 I have used Green Magma by Green Foods for nearly 5 years. It is a bit more expensive than the Wheat Grass Shots (I started using the less expensive Wheat Grass Shots 1 1/2 years ago) but I have returned to using Green Magma and I can see the difference in my digestive system, energy level, and skin. Time to reorder!